Fact: Across all competitions, Ozil is nearly as good as Xavi and Iniesta COMBINED, merely 0.01 goals + assists per game behind the combined pair. Get your head wrapped around that. When Arsenal surprised everyone by actually spending some money on transfer deadline day with the club-record signing of Mesut Ozil for $67M, many of the pundits (1) were in shock that Madrid sold him and (2) thought Arsenal had secured THE BEST central midfielder in the world. Turning to the data, you can easily make such an argument. Using the viz below, you can compare Ozil to many of the other top central midfielders in the World. Despite having played fewer seasons than nearly all of the players on this list, Ozil is the leader in total assists, leader in goals + assists per game, and the runaway leader in assists per game across all competitions. Xavi and Iniesta may get all of the plaudits, but they are well down the list of goals + assists per game across all competitions, coming in at 10th and 13th respectively. They are far behind Ozil and just behind Santi Cazorla. This has to bode well for Arsenal. Ozil has been the clear leader in assists across all competitions for the past four years. meanwhile Xavi's production has steadily dropped, with a dramatic drop off in the 2009/10 season. Ozil consistently performs better for country than club and on the international stage, his performance vs. his peers is even more staggering. Barca need to get Cesc on the field more often. Frank Lampard, despite playing for the Evil Empire in Chelsea, was astonishingly consistent and dominant from 2003/04 through 2009/10. Frank performs better than Gerrard on the international stage when looking at averages per game, yet you would think, based on what you hear in the press, that Gerrard's performances far exceed those of Lampard. The data shows otherwise. I suppose that's why they call them pundits and not experts. Manchester United are desperate for an attaching midfielder to complement Michael Carrick. Play around with the viz and comment with things you see. 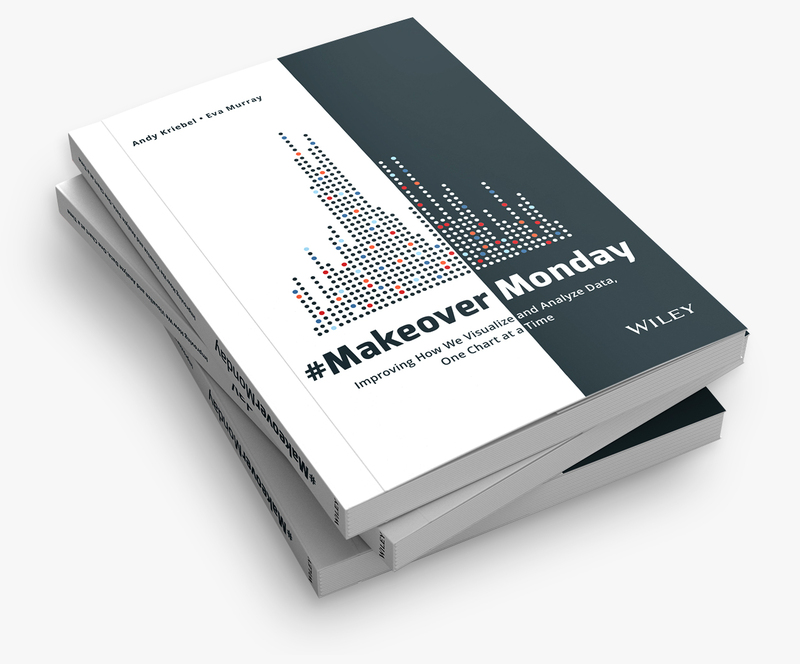 You can also download the workbook here. Love Arsenal too :) Great viz! 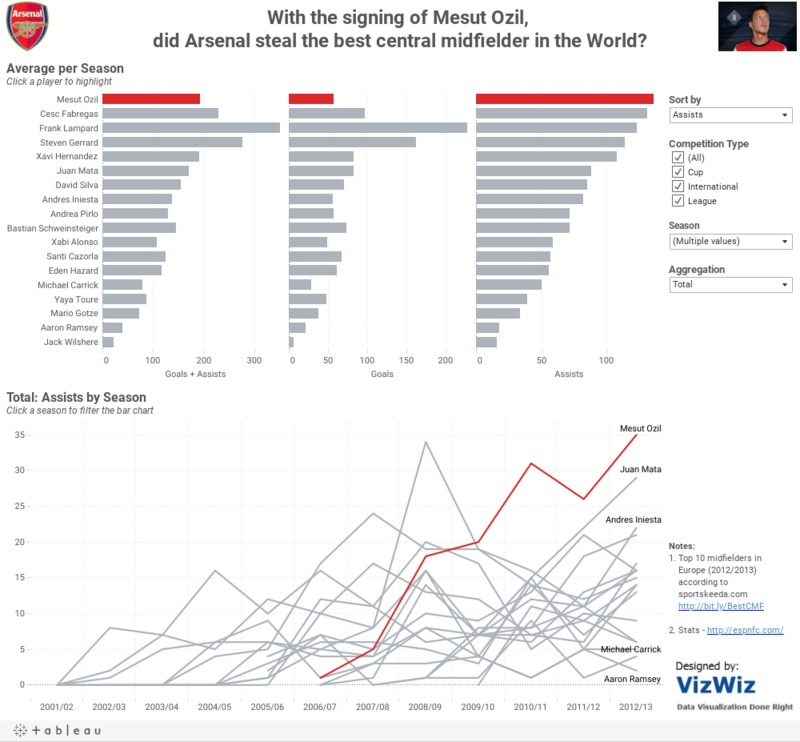 A new and great Arsenal Viz! Özil is a fantastic player, no doubt of that, but as a Real Madrid supporter I must say I'm fine with him leaving the team. We enjoyed with his creativity and talent. It was the right time for Real Madrid to letting him go. He was no longer in the starting line-up, Isco, golden boy award 2012, is in a great moment and he left no room for Özil. About the dataviz I think it would be easier to consume if you could include horizontal grid lines on the bar chart to let users to follow the chart row by row.